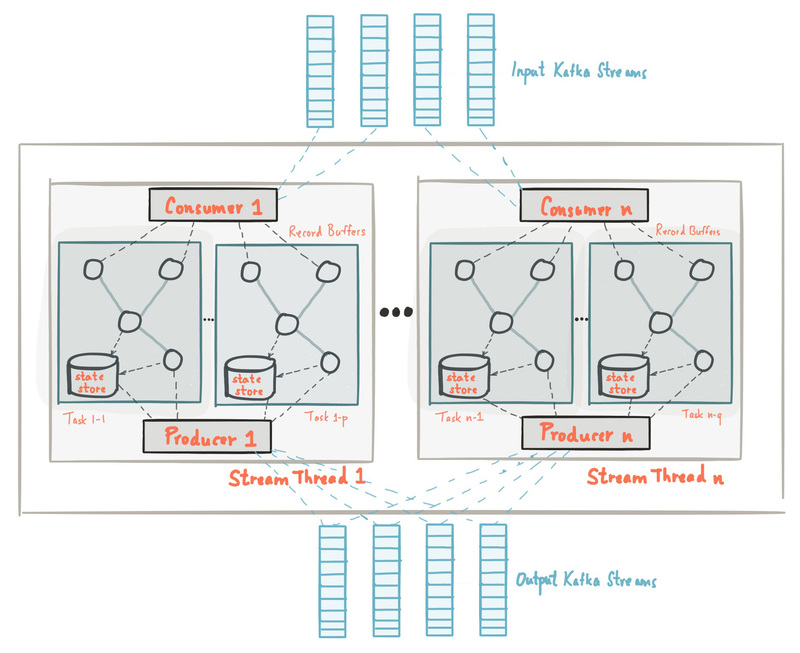 Kafka Streams simplifies application development by building on the Kafka producer and consumer libraries and leveraging the native capabilities of Kafka to offer data parallelism, distributed coordination, fault tolerance, and operational simplicity. 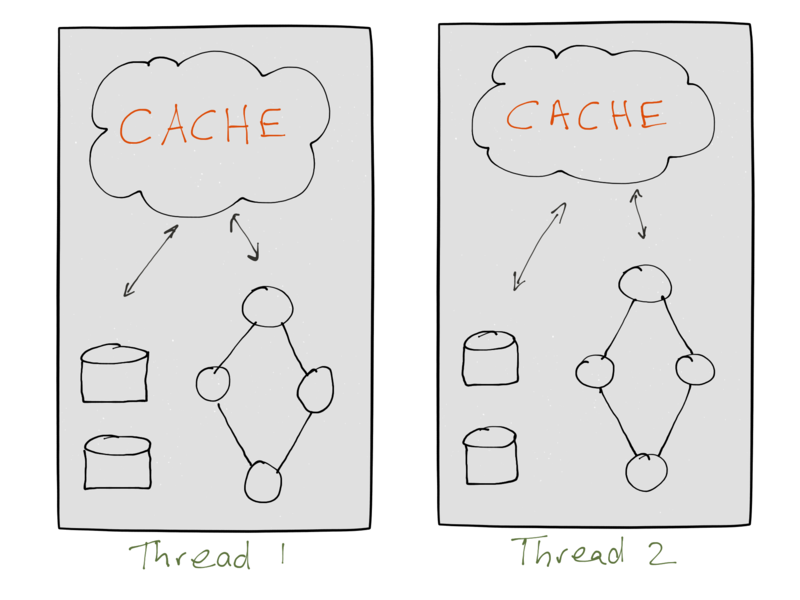 In this section, we describe how Kafka Streams works underneath the covers. The picture below shows the anatomy of an application that uses the Kafka Streams library. Let’s walk through some details. 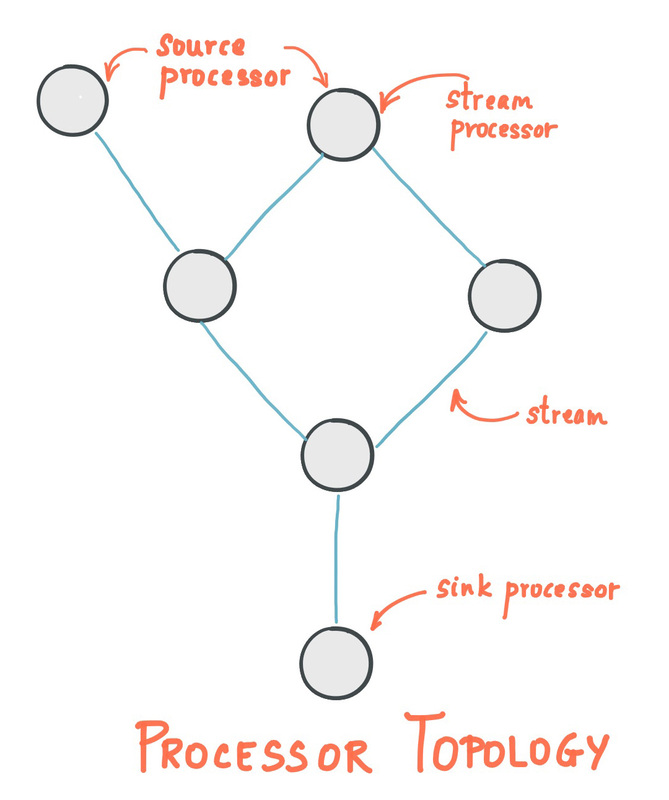 Logical view of a Kafka Streams application that contains multiple stream threads, each of which in turn containing multiple stream tasks. Kafka Streams currently supports at-least-once processing guarantees in the presence of failure. This means that if your stream processing application fails, no data records are lost and fail to be processed, but some data records may be re-read and therefore re-processed. It depends on the specific use case whether at-least-once processing guarantees are acceptable or whether you may need exactly-once processing. For many processing use cases, at-least-once processing turns out to be perfectly acceptable: Generally, as long as the effect of processing a data record is idempotent, it is safe for the same data record to be processed more than once. Also, some use cases can tolerate processing data records more than once even if the processing is not idempotent. For example, imagine you are counting hits by IP address to auto-generate blacklists that help with mitigating DDoS attacks against your infrastructure; here, some overcounting is tolerable because hits from malicious IP addresses involved in an attack will vastly outnumber hits from benign IP addresses anyway. In general however, for non-idempotent operations such as counting, at-least-once processing guarantees may yield incorrect results. 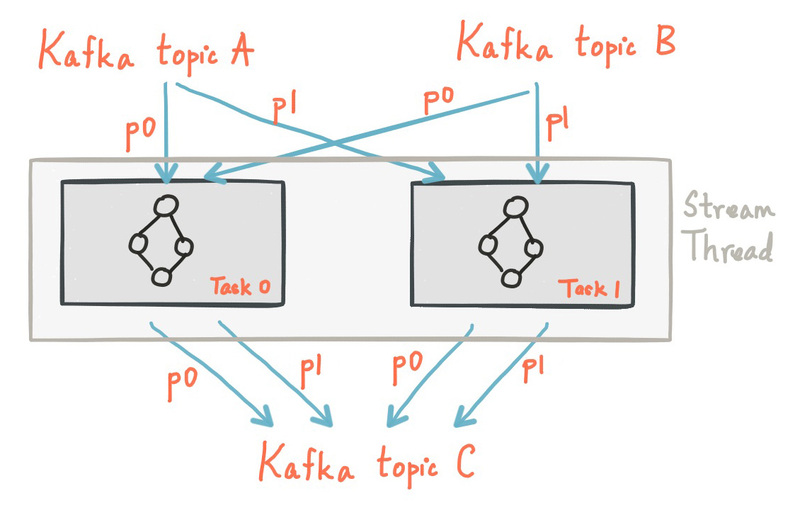 If a Kafka Streams application fails and restarts, it may double-count some data records that were processed shortly before the failure. 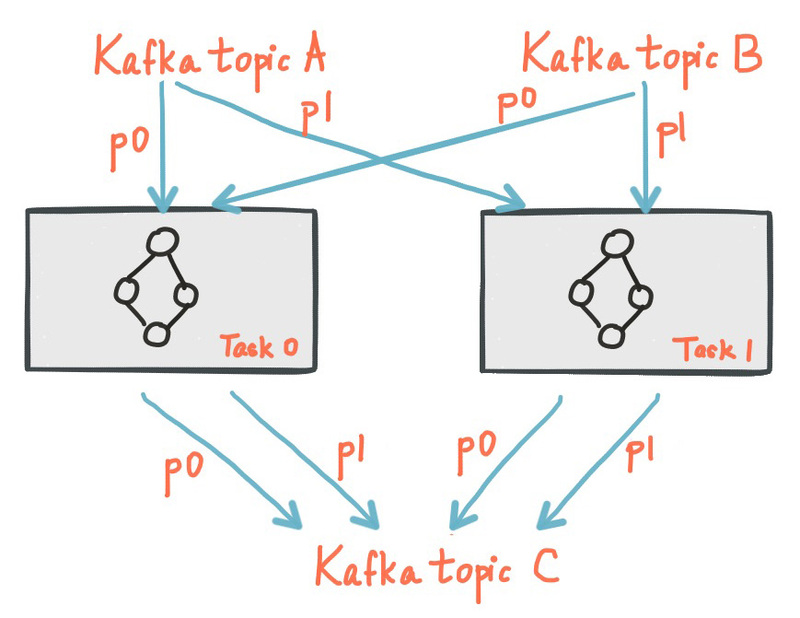 We are planning to address this limitation and will support stronger guarantees and exactly-once processing semantics in a future release of Kafka Streams. 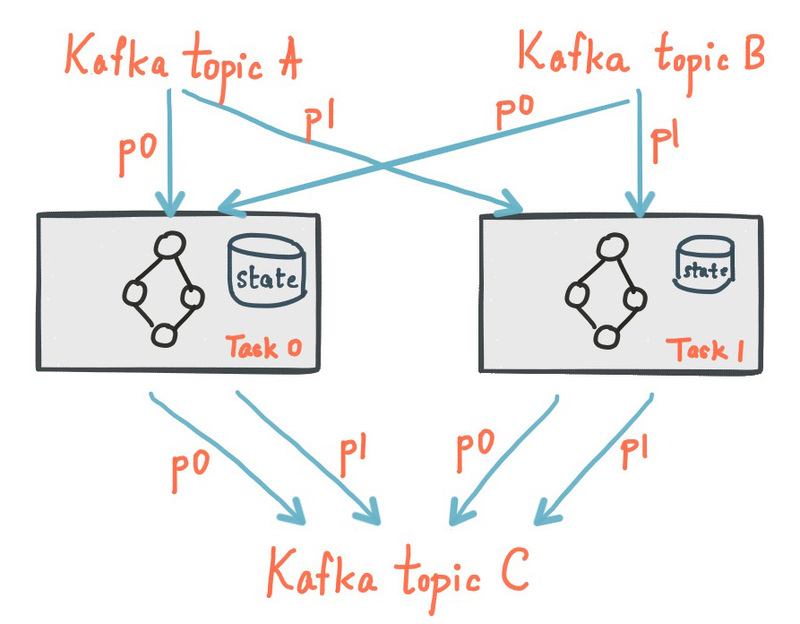 As mentioned in the Concepts section, each data record in Kafka Streams is associated with a timestamp. 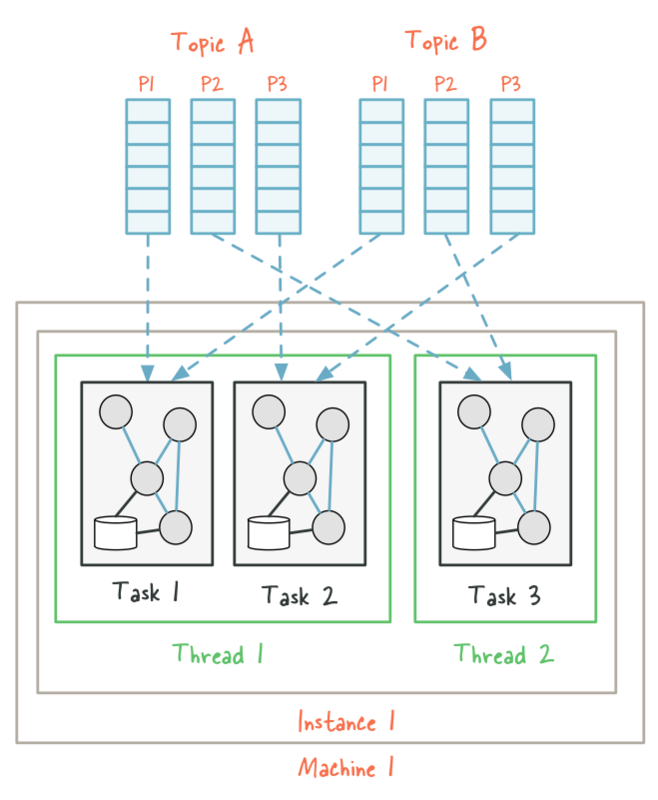 Based on the timestamps of the records in its stream record buffer, stream tasks determine the next assigned partition to process among all its input streams. 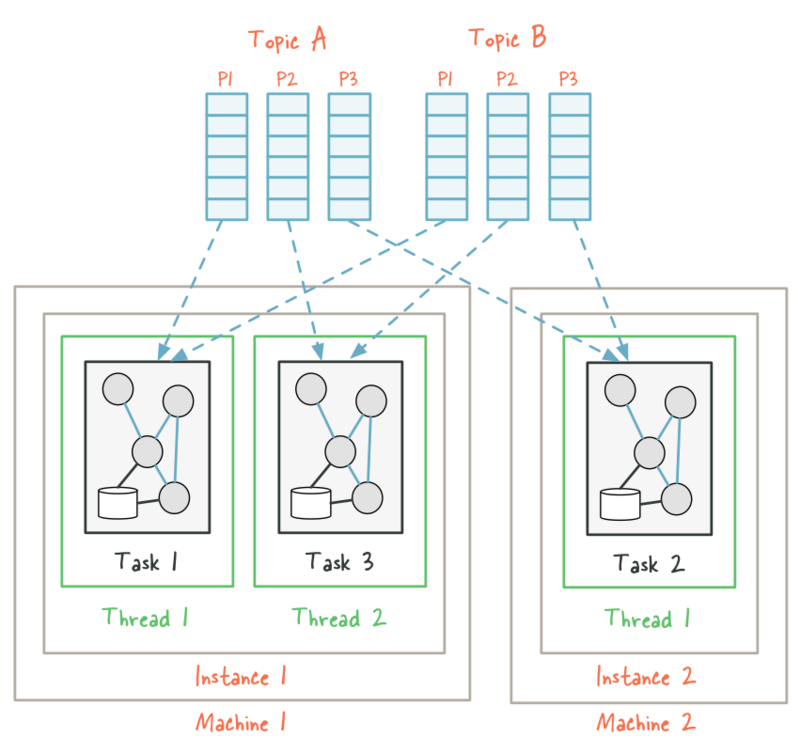 However, Kafka Streams does not reorder records within a single stream for processing since reordering would break the delivery semantics of Kafka and make it difficult to recover in the face of failure. This flow control is of course best-effort because it is not always possible to strictly enforce execution order across streams by record timestamp; in fact, in order to enforce strict execution ordering, one must either wait until the system has received all the records from all streams (which may be quite infeasible in practice) or inject additional information about timestamp boundaries or heuristic estimates such as MillWheel’s watermarks.